Ginny and her beloved Anthony, Lord Crenshaw, are finally married and have spent the bulk of their first blissful six months of marriage in the country. However, Ginny must now hostess a Christmas ball at Dunsmere, the estate of the dowager Duchess of Marcross. How is a mere vicar's daughter to carry off such an event with no experience and little exposure to the ways of the ton? And how is she to meet the expectations of her Grandaunt Regina, earn the good graces of Anthony's uncle the Duke of Marcross, endure the spite of the duke's new wife, manage the hysterical escapades of Lucinda, Lady Avery, and find the perfect gift for her husband, all while expecting a babe? All these questions and more are answered in Lady Crenshaw's Christmas, a short story follow-up to two full length novels, Miss Delacourt Speaks Her Mind and Miss Delacourt Has Her Day available via Montlake Romance. 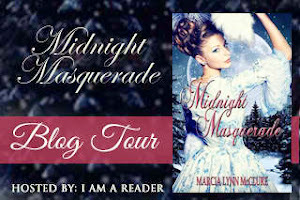 I love a good regency story and I love Christmas stories, so this novella was a bonus for me! 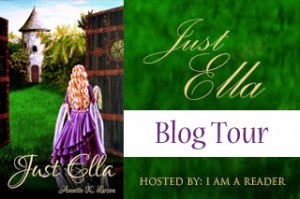 I am new to the Miss Delacourt series, I confess I have not read the first two full-length novels, but that didn't pose a problem for this regency short. I was able to understand the characters and their relationships even though I haven't read the previous novels. I enjoyed the loving and tender relationship between Ginny and Anthony. Lady Avery and her husband were hilarious and without them the ball would not have been the same! I thoroughly enjoyed this regency short and look forward to reading the first two full-length novels from this series! Four stars! 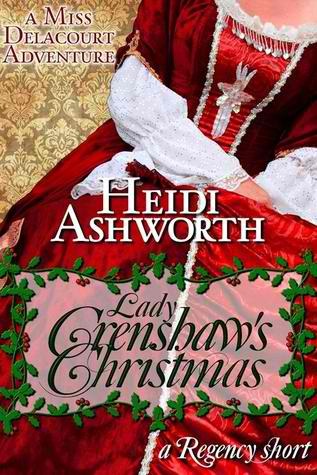 You can pick up Lady Crenshaw's Christmas via Amazon. Perhaps the most dangerous person to gain unimaginable power is the one who feels oppressed. And full of wrath. For very good reason. Indomitable is a novella about the character Jonas from J. Meyers full-length novel, Intangible. 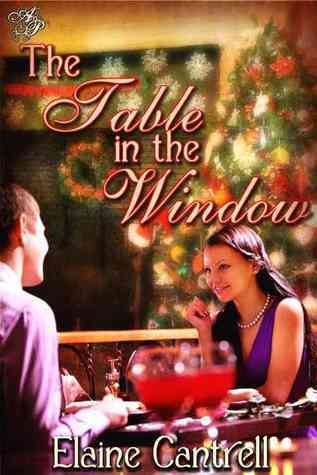 I loved this novella, I read it in one sitting! I was surprised by the depth of emotion that was portrayed in Jonas' story. I definitely was not expecting such sadness and heartbreak, yet I feel that I now understand his character much better than I did before. I also appreciated that I got more insight into other characters from Intangible through Jonas' story. If you are looking for a light read, this is not it. Jonas' story is heartbreaking. I don't want to say more because I don't want to spoil it. The novella ends right where he meets Sera in Intangible. I appreciated this story very much!!! I hope that J. Meyers decides to write many more books in this series because I can't get enough! Five stars!!! You can pick up Indomitable via Amazon. MEET SIXTEEN YEAR OLD CANDYCANE CLAUS. 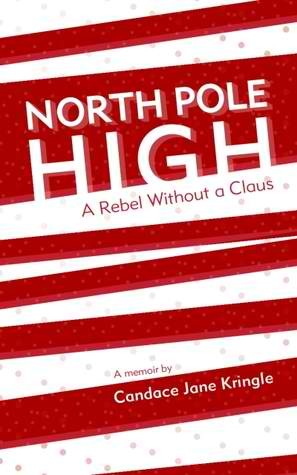 She's the most popular girl at North Pole High. Her father is world-famous. And every day is Christmas. What more could any girl want? BOYS! And the new boy, Rudy Tutti, is hot chocolate. But he hates anything to do with Christmas! When Candy and Rudy are forced to work together on a school Christmas-tree project, her world is turned upside down: Her grades start to suffer, she loses her taste for ice cream, and now the two North-Star-cross'd teens must contend with her overprotective father — Santa Claus — before Christmas is ruined for EVERYONE! I would like to thank the author for providing a copy of the book for review. When I read the summary for the book I was excited because the summary was great and I love a good Christmas book! When I began reading though, I was highly disappointed by the cheesy details of the novel. The chef to the Claus family was a penguin named Chefy and a high school teacher was a polar bear named Mr. Polar Bear! What took the cake for me was one of the main character's names was Rudy Tutti!! All I could think of when I read that was 'fresh and fruity' from IHOP. These details made it difficult for me to enjoy the book and I found myself working to read it. Not exactly how I like my reading to go. Although the premise of the book was a good one, the details were too distracting for me to enjoy it. Two stars. You can pick this book via Amazon. Being dumped by your gorgeous fiancé is bad enough no matter when it happens, but he did it at Christmas time! Marley thinks she’ll never get over it, but Rob Travers disagrees. He sets out to win Marley’s heart, well aware that when she finds out about his past, she may turn her back on him forever. 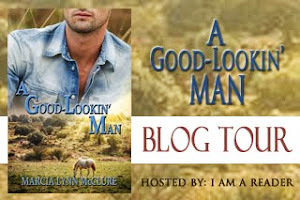 I am a new reader of Elaine Cantrell so I wasn't sure what to expect at all. I was pleasantly surprised! I was immediately interested in the story from the first page! Marley's story was interesting and I found myself sympathizing with her and cheering for her! I didn't want to put this book down until I was finished! Don't discount it because it is a novella, it is very well written and the story has a way of drawing you into it. 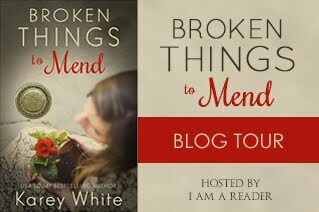 The characters are relatable and the emotions were heart-felt! I gobbled this novella up as fast as I could read it and I would read it again! Four and a half stars and I look forward to reading more from Elaine Cantrell! You can pick up this book via Amazon or Barnes and Noble. I am back up and running!!! My computer is currently down and posting from my phone is incredibly difficult. Please bear with me, I will be back up and posting reviews as soon as possible!! Thank you so much for stopping by Books Are Sanity!!! Blaine Graham lost his mother at the tender age of eleven. Grief over the loss drove a wedge between him and his father, and soon proved too difficult for him to deal with. At the age of sixteen, he falsified his papers and made the trip across the border into Canada with his best friend to join the Royal Canadian Air Force and enter the war in Europe as a pilot. Ten years later Captain Graham finds himself flying commercial jets in Boston – his estranged father and his past life all but forgotten, until the day he receives a telegram from his dying father asking him to come home. The persistent Mara Crawford, a live-in nurse, has experienced her fair share of loss as well. Her attachment to Blaine’s father drives her desire to bring reconciliation between the two men before time runs out for her patient. But her best laid plans didn’t include falling in love again. I will admit that it was a bit hard for me to get into this story since it started with a funeral. I was expecting something else for a Christmas themed story. However, once I got through the first part of the book, I became intrigued with the story and reading on was not a problem! Blaine was an intriguing character and I really felt compassion for his loss of family. I found myself putting myself in Blaine's shoes and asking myself how I would have felt if I were in his place? Would I be able to forgive my father and would I trust my heart to be able to love? This story really tugs at your heart strings and makes you think about what is important in life. Although I found some parts predictable, it was overall a very nice read. Three and a half stars. You can pick up The Parting Gift via Amazon or Barnes and Noble. Here are some links to pick it up! *All books were free at the time of this posting. 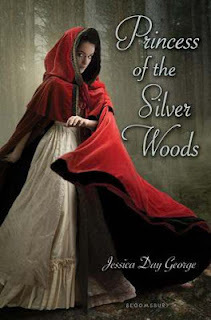 Release Day for Princess of the Silver Woods (Princess, #3) by Jessica Day George!!! Released today, December 11, 2012!!! When Petunia, the youngest of King Gregor's twelve dancing daughters, is invited to visit an elderly friend in the neighboring country of Westfalin, she welcomes the change of scenery. But in order to reach Westfalin, Petunia must pass through a forest where strange two-legged wolves are rumored to exist. Wolves intent on redistributing the wealth of the noble citizens who have entered their territory. But the bandit-wolves prove more rakishly handsome than truly dangerous, and it's not until Petunia reaches her destination that she realizes the kindly grandmother she has been summoned to visit is really an enemy bent on restoring an age-old curse. The stories of Red Riding Hood and Robin Hood get a twist as Petunia and her many sisters take on bandits, grannies, and the new King Under Stone to end their family curse once and for all. I loved this book so much! 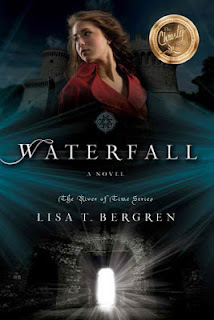 If you have read the Princess series by Jessica Day George, you will love this concluding book to the series! You can read my review here. If you haven't read them, pick up the first, Princess of the Midnight Ball and the second, Princess of Glass! They are phenomenal reads if you like fairy-tale retellings! You can pick this awesome book up via Amazon or Barnes and Noble. When Chase risks his life to save a brother and sister just before Christmas, his life becomes entwined with theirs more intricately than he could have imagined. Emotional and moving, this is a story of a young man whose troubled heart is tested by the one thing he is unprepared to face, love. This is not your typical Christmas story, it is so much more than that. 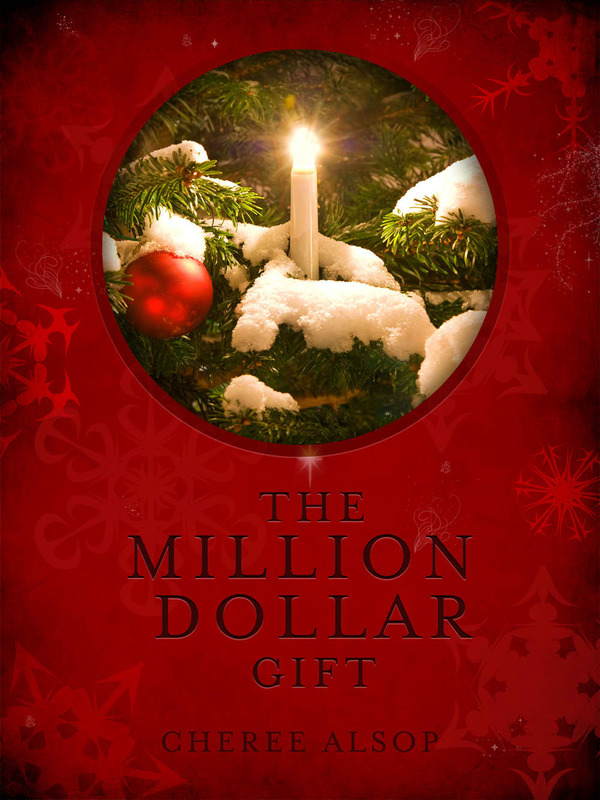 The Million Dollar Gift is an emotional and poignant novel. Chase is troubled and feels like he has no worth. When he makes a split decision to try to save two people, his life is changed forever. What one family can see in him, he cannot see in himself. Chase's journey is emotional and one you will be happy you chose to read. I don't cry during movies or books, but this one brought tears to my eyes. An amazing story filled with truth that many fail to see, that love and family are the best gifts of all. Five stars and I will recommend this to everyone! You can pick up The Million Dollar Gift via Amazon or Barnes and Noble. In Joyce Di Pastena’s charming medieval story, Caroles on the Green, we enter England of 1151, in which Lady Isabel has a dilemma. She promises herself that she’ll marry the man who sent a ring hidden in her pastry since the man she truly loves, Sir Lucian de Warrene, has proved to be impossible and exasperating. To forget him, Isabel sets her eyes on other eligible men, only to face another confrontation with Lucian—who isn’t about to back off and leave her to her newest plot. Wow!!! First, I have to say that this is a great value for your money! Six amazing novellas from six amazing authors!!! This is a great deal and would make a wonderful Christmas gift :) The cover is beautiful! 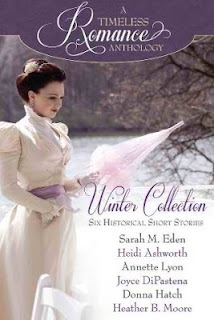 I LOVED this collection of short stories! They are all clean historical romance novellas. Each story was unique and captured my attention! 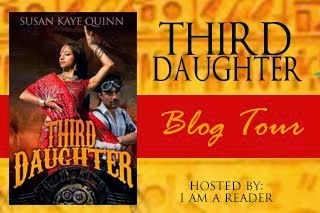 I found myself drawn into each novella and I was amazed at the character development! How can I pick a favorite among them? It wouldn't be fair, so I won't ;) Just know that you won't be disappointed with these stories! Some authors are old favorites of mine and some were new to me, however I loved each and every story! They are all so different, yet each one had something in common, finding true love. If you love romance stories and historical fiction, then you will love this collection of short stories! Five Stars!!! P.S. It says at the end that there is a new Spring Collection coming out soon!!! I am excited and looking forward to reading this one, so be sure to look for it! You can pick this up via Amazon or Barnes and Noble. The truth of the matter was a little more embarrassing: I used to sit too close to the T.V. That was the reason why I had to wear glasses, but kids don’t really care about small, insignificant details like the truth, and so I was labelled a nerd. The label kinda stuck, and after some sage advice from my awesome nana (nana, you rock!) I decided that if I was going to be abused for my supposed literary obsession, I might as well develop one. I guess that’s how I got into books and reading at an early age. Since then, I’ve been ripping through books like they’re going out of fashion, which, thankfully, they’re not. Good thing, too, because I’m a writer now, and books are my business! Thank you to everyone who has supported and encouraged me on my journey- look for your names in the acknowledgements! And a big thank you to you, the reader. I hope you’ve fallen in love with Farley and Daniel just like I have, and that you’ll join them in the next book, Eternal Hope! Farley felt her face redden, which was _________ inappropriate. Daniel and Kayden were _______ she was watching, and for once their sparring lacked the flashy showmanship they usually employed to _______ her. For the two of them, nothing _______ beyond the dimly lit parameters of the hangar. Beyond the lunge, beyond the parry, beyond the block. This was how it would really go down, if they ever meant to do serious harm to one _______. Movements fluid and graceful, there was _________ primal about their circling. Quick _______ of calculating eyes, green and blue, preempting the other’s next move. Kayden’s hair was darkened with sweat, but both their chests rose and fell with __________ regularity. In and out. Slow and steady. The stern, focused expressions on their faces said ____ were in total control. Farley let the darkness wash over her and kept her presence hidden. The confrontation was too ___________ to interrupt. Bare chests, muscled and tanned; silver flashes of metal as their blades sang through the air. Even Cliff would have been impressed. Farley bit her ______ lip as Kayden darted _______ in a sure leap, thrusting out with deadly precision towards Daniel’s throat. The ______ would have been a killing blow. Would have been, if it had even ______. Daniel sprang back and duck-rolled over the dusty floor, crouching into a defensive pose. With his knife ________, his eyes lifted to fix on Kayden, but they _____ quite made it. Robotically, Daniel rose, his _____ suddenly vanished, and dropped the knife into the dirt. Kayden’s apparent confusion only lasted a second; the moment he ________ it - that she was there - was _______. One second he was ________ Daniel’s creased brow, the next he had spun around impossibly quickly and was staring, too. Blue and Green. Farley felt her throat closing up. She opened her mouth to speak, but nothing came out. Silence flooded the hangar. 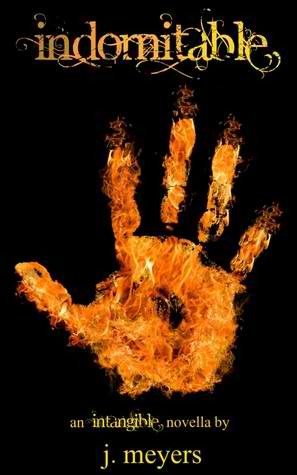 Farley took a moment to _______, pretending not to ______ Kayden’s fist clenching repeatedly ______ the handle of his knife. What Meg does not confess is that her reliquary box holds a secret.Burthred needs a wife, and no one will satisfy him except Meg. He swore on his father’s deathbed that he would marry her. But Burthred has a secret, too. When they come together before the Yule fire, their shared revelations will either join their hearts together or tear them apart. Joyce DiPastena does a beautiful job of bringing the reader straight into the medieval times and into Meg's world! The descriptions of her home made me feel like I was right there watching the events unfold. I loved how Meg called herself Christina because she had already committed herself to become a nun. She was such a strong-willed character! Even though it is a short story, I felt like I came to know Meg and Burthred. Both of them had secrets they were keeping and by candlelight they discovered them! 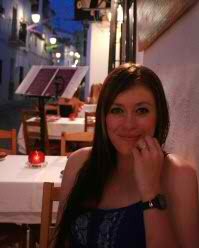 A Candlelight Courting is romantic and has some drama in it as well! There is a nice twist at the end that I appreciated and my only complaint would be that the story ended! Four and a half stars! You can pick up A Candlelight Courting via Amazon or Barnes and Noble. Finding The Baby Jesus by Kimball Fisher, Book Review, Guest Post & Giveaway! 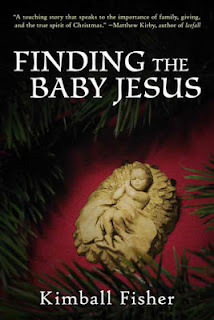 Finding the Baby Jesus is a short, sweet and simple story that illustrates the real meaning of Christmas. It is poignant and emotional. It is beautifully written and tugs at your heart strings! It is a quick read, only about ten minutes, but perfect to sit down and read with your family, kids, and grandkids. It will hold your interest and theirs too. It brings to light that giving is much more important than receiving and that some things are much more precious than what lies under the tree. I love this book so much that I am going to buy a hardback copy for my Dad for Christmas! He loves Christmas stories as much as I do, and he used to read to my siblings and I every Christmas season! Five stars for a wonderful Christmas read! There is something special about the holiday season, and whether you celebrate Christmas, Hanukkah, or other holiday traditions, it's a wonderful time to gather the family together and celebrate the things that make us appreciate spending time with each other. It is also, however, a difficult time for many. Especially for those who have had rich traditions of family togetherness who are now isolated from them, or who have lost those they love. 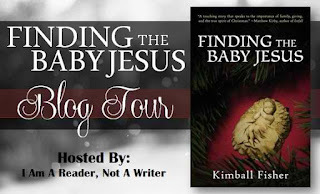 When I wrote FINDING THE BABY JESUS, a short story about a boy who recovers a long-lost carving that everyone assumed had been lost when his grandmother died, I remembered the first holiday season I spent as a 14-year-old boy without my Grandpa. He was hospitalized for falling off a roof and died soon after a problem in surgery. I had been very close to my Grandpa, and that year I didn't feel like celebrating without him. It must have been even worse for my younger brothers and sisters. Perhaps this season, if we are blessed with a happy celebration full of love and family, we might find a way to share a little bit of it with those who are burdened by loss or loneliness. Isn't giving what the season is all about? My little book has a discussion guide with questions that can prompt a family activity to help others who are less fortunate. 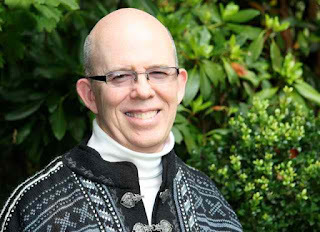 You can find out more about author Kimball Fisher thru his website or Facebook. 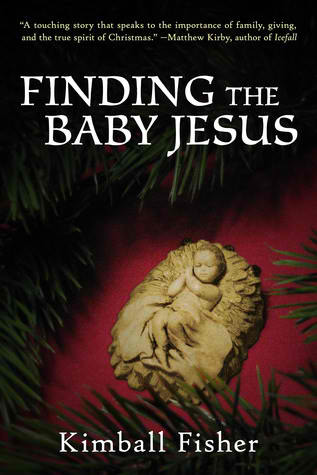 You can pick up Finding the Baby Jesus via Amazon or Smashwords. ReAwakened by Ada Adams, Book Review and Giveaway! 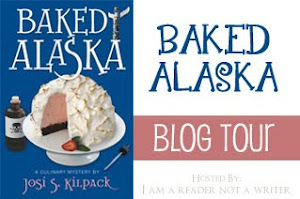 ReAwakened is the second book in the Angel Creek Series by Ada Adams. I have to say, this book ROCKED!!! I love how Ms. Adams draws you into the story slowly and then WHAM!!! The action and adventure just take off at an amazing speed! Dawn is back and as usual, is out to save the world! Sebastian is back and ooohh, we get to see so much more of who he is! The sparks between the two are amazing and you can feel them! What can I say about Razor? How about that I love him! He is funny, charming and witty! The book would be incomplete without him! I had to stay up late to read this one folks, because the action gets intense and you won't want to put it down! There are twists and wow are they shocking!!! That is all that I will say, you have to read it to find out what they are! 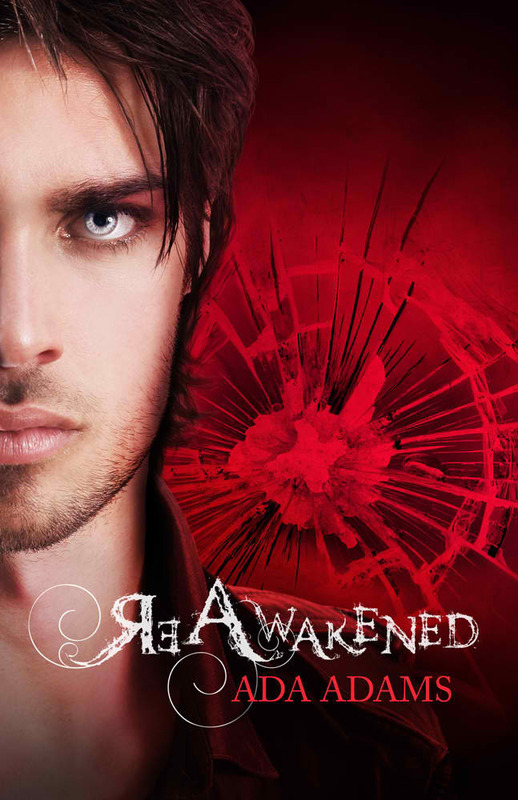 ReAwakened is even better than ReVamped and that is saying alot since ReVamped was wonderful! But ReAwakened has so much more to it!!!! Don't miss this one, hurry over to your favorite retailer online or otherwise and pick up this book!!! And if you haven't read ReVamped then pick up them both! You won't be sorry! FIVE STARS!!! 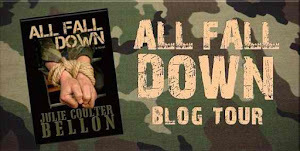 All Fall Down by Julie Colter Bellon, Book Review and Giveaway!!! Ring around the rosy, a pocket full of posies, ashes, ashes we all fall down . . . That simple rhyme turns negotiator Claire Michaels’ current hostage situation into an international incident. Claire just wants to help get everyone out safely, but as the crisis escalates she realizes she’s dealing with an al-Qaeda operative who has the means to become another bin Laden---with the potential to attack America. Claire has her own personal reasons for wanting to stop al-Qaeda, but time is slipping away as negotiations break down. Can she overcome her scars of the past in order to get the hostage out alive and possibly stop an assault on U.S. national security? Navy SEAL Rafe Kelly is on leave to recover from a knee injury he suffered during his tour in Afghanistan and he doesn’t expect to be fighting terrorists on his home turf. But when he is taken hostage and his brother is kidnapped, Rafe teams up with a hostage negotiator in order to stay alive and get his brother back. The terrorist is always one step ahead of them, however, and the situation quickly turns from desperate to deadly. Will Rafe be able to save himself and his country without anyone he loves getting caught in the crossfire? I am new reader to author Julie Coulter Bellon and I have to say that if all of her books are like All Fall Down, then she has a new fan! 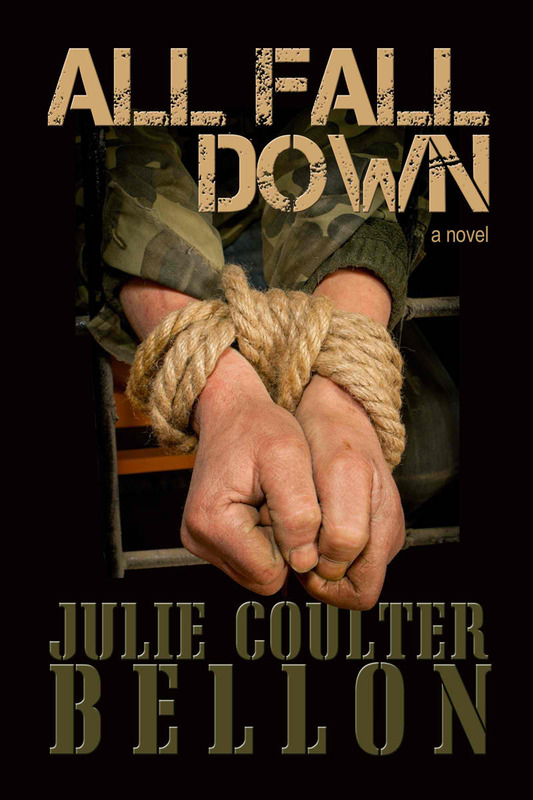 All Fall Down is definitely a suspense novel full of action, intrigue and a little bit of romance as well. The characters are both extremely strong-willed or stubborn shall we say? It was fun seeing Claire and Rafe's dynamic together when they were both so head-strong. The book flowed well and I never felt like there was a part that was slow or failing to hold my interest. I really enjoyed the premise of the book and the action and suspense kept me on my toes throughout! Four stars! 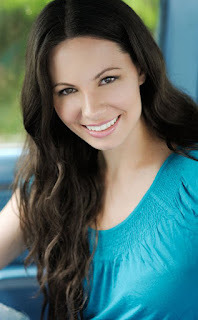 Julie Coulter Bellon is the author of seven international romantic suspense novels. She loves her work partly because she gets to travel to distant lands to research and add an authentic feel to all of her books. Her favorite cities so far are Athens, Paris, Ottawa, and London. She taught journalism at BYU for fourteen years and that kept her on the cutting edge of current events and world news---which is where she gets her story ideas. 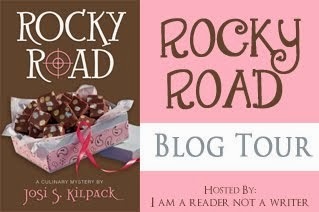 Julie offers writing and publishing tips as well as her take on life on her blog ldswritermom.blogspot.com. You can pick up your own copy of All Fall Down via Amazon or Barnes and Noble. To enter to win these prizes, simply fill out the Rafflecopter form provided. (Each tour stop will have the same Rafflecopter form). 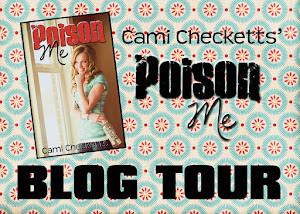 Open from November 12 to December 7.
a Rafflecopter giveaway I received this book for free. This is my honest review. I love the twelve dancing princesses story! It is one of my very favorite fairy tales! I have read many different versions, yet I keep coming back to Jessica Day George's retelling. 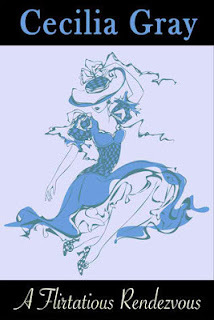 She begins with her first in the series, Princess of the Midnight Ball, followed by the second in the series, Princess of Glass. Each story gives a unique perspective to the magic and curse surrounding the twelve princesses. The third and final book in the series, Princess of the Silver Woods, did not disappoint! It incorporated even more fairy tales into the story, like Robin Hood and Little Red Riding Hood. 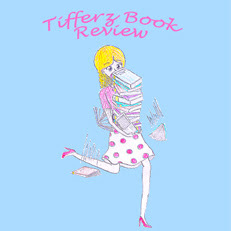 The book was fast-paced and all of my favorite characters were there! Some new characters were introduced, some likeable and some that were not. I felt myself trying to figure out who was really good and was putting on a facade! In this final installment of the Princess series, Princess of the Silver Woods will have you on your toes as you take the adventure of a life-time! Bravo, five stars to Jessica Day George! I love her work and can't wait to see what she has in store for us next! You can pick up Princess of the Silver Woods for pre-order via Amazon or Barnes and Noble. This book will be released December 11, 2012. 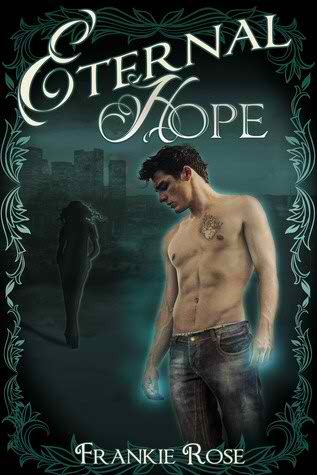 You can pick up Eternal Hope via Amazon. 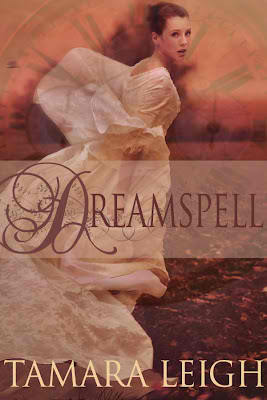 Dreamspell by Tamara Leigh is FREE on Amazon!!! This book is AMAZING!!! And it just happens to be FREE right now over on Amazon! Hurry over and pick up your copy, it is free until November 24th!!! I have read and reviewed this book and trust me when I say that it is one you will not want to put down!!! This is one you will be THANKFUL that you picked up! I hope all of you have a happy day and enjoy your new book!!! Sleep disorders specialist Kennedy Plain has been diagnosed with a fatal brain tumor. When her research subject dies after trying to convince her he has achieved dream-induced time travel and her study is shelved, she enlists herself as a subject to complete her research. But when she dreams herself into 14th-century England and falls into the hands of Fulke Wynland, a man history has condemned as a murderer, she must not only stay alive long enough to find a way to return to her own time, but prevent Fulke from murdering his young nephews. And yet, the more time she spends with the medieval warrior, the more difficult it is to believe he is capable of committing the heinous crime for which he has been reviled for 600 years. Baron Fulke Wynland has been granted guardianship of his brother’s heirs despite suspicions that he seeks to steal their inheritance. When the king sends a mysterious woman to care for the boys, Fulke is surprised by the lady's hostility toward him--and more surprised to learn she is to be his wife. But when his nephews are abducted, the two must overcome their mutual dislike to discover the boys' fate. What Fulke never expects is to feel for this woman whose peculiar speech, behavior, and talk of dream travel could see her burned as a witch. This book was free at the time of posting. Susan Hatler has a knack for writing books that draw me in from the very first page! I love her writing style, it flows easily and never has me backtracking. Love At First Date is a cute novella length story about Ellen who thinks she has everything figured out when it comes to dating and compatibility! She soon realizes that you can't plan love and it happens when and where it will. Who will she choose? Her match that is compatible on paper, or the one that makes her heart skip a beat? 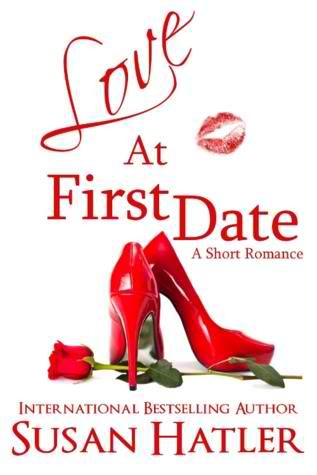 Find a few hours and get cozy, Love At First Date is a fun read that you won't want to put down! It is funny and romantic as well! (Ellen loves shoes; who doesn't love shoes?! I could relate to her just through her love of shoes alone!) Four stars! You can pick up Love At First Date via Amazon. I received a copy of this book for free and this is my honest review. 3. desperately in love with one Mr. Hayden Banks despite good sense advising her to the contrary. 3. incredibly wary of one Miss Hanna Morton when his matchmaking mother sets them under the same roof. Hanna is hoping for Hayden's heart, but what will become of their flirtatious rendezvous? At first I wasn't sure of this fourth installment in the Gentleman series. It started off when the two main characters were only twelve years old. Soon I realized that this was necessary to the story. Hanna is constant in her love for Hayden and he knows it. In turn, Hayden knows that he cannot and will not ever love Hanna in return. However when a bet is struck between Hayden and his Mother, Hayden becomes confused and realized that not everything can be figured out mathematically. 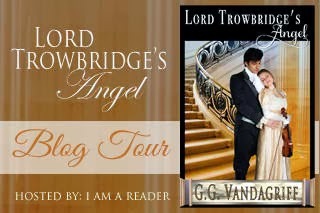 Another fun short regency novella, Cecilia Gray has yet to disappoint this avid reader! You can pick up A Flirtatious Rendezvous via Amazon. In the cloistered English countryside, an improbable couple will defy expectation. 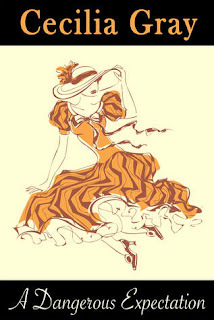 Miss Cassandra Drummond, shipping heiress and consummate shut-in, flees London and the hectic to-do of her sister’s upcoming nuptials. She wants a quiet summer away from everyone, especially marriage-seeking fortune hunters. She doesn’t expect Mr. Gray Abernathy to prove dangerous to her impregnable walls. Mr. Gray Abernathy, poor ducal relation and consummate harmless flirt, eeks by on his charming manner and his pretty face. He wants an independence where he isn’t beholden to anyone, certainly not a shipping heiress. He doesn’t expect Miss Cassandra Drummond to prove dangerous to his impregnable heart. I love the premise of this story! The two main characters end up in a precarious situation and find out that they have more in common that they could ever have imagined! 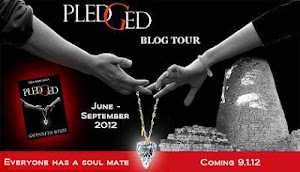 I loved learning more about Cassandra, the sister of Chastity from the previous book in The Gentleman Series. The characters were unique and the story was as well! I loved how things turned out in the end and overall enjoyed every minute of this regency novella! Another great story by Cecilia Gray! You can pick up A Dangerous Expectation via Amazon or Barnes and Noble. New Release Today! Million Dollar Gift by Cheree Alsop! When Chase risked his life to save a brother and sister just before Christmas, his life becomes entwined with theirs more intricately than he could have imagined. Emotional and moving, this is a story of a young man whose troubled heart is tested by the one thing he is unprepared to face, love. Cheree Alsop is the mother of a beautiful, talented daughter and amazing twin sons who fill every day with light and laughter. She married her best friend, Michael, who changes lives each day in his Chiropractic clinic. Cheree is currently working as an independent author and mother. 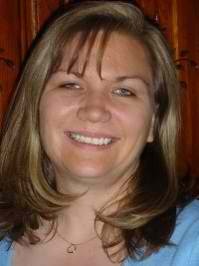 She enjoys reading, riding her motorcycle on warm nights, and rocking her twins while planning her next book. She is also a bass player for her husband’s garage band.